The search ads appear at the top of the Apple App Store query page. When someone searches on the keyword “nordstrom,” for example, to download the app they might see an ad for Sephora. Apple’s other campaign measurement partner, Kenshoo, which also supports Bing and Google search ads, signed on in September 2018. The two companies now support the 70% of app store visitors who use search to find apps. Some 65% of downloads occur directly after a search on the App Store, and 50% of search ads average conversion rate, according to Apple Store data in 2018. Bidalgo recently released a guide to search ads, helping app advertisers gain practical campaign tips for the best performance. 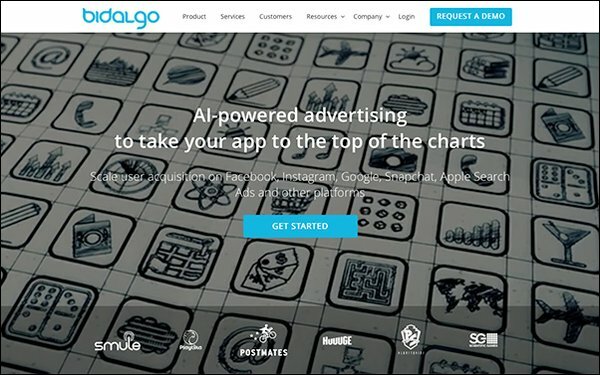 The company also has partnerships with Facebook, Instagram, Google, Snapchat and Pinterest to help advertisers manage ads in apps. And while managing ads running in the app store seems to run smoothly, Apple continues to struggle with companies trying to game the system. Apple deleted apps from Appsverse, Dington, TextMe and others after finding these companies reportedly posted duplicate apps, which is against company policy. Some clone the apps to drive more search traffic. TechCrunch notes cloning isn’t focused just on VoIP companies. JPEG Labs, for example, has four apps that allow people to print photos at CVS and Walgreens stores.